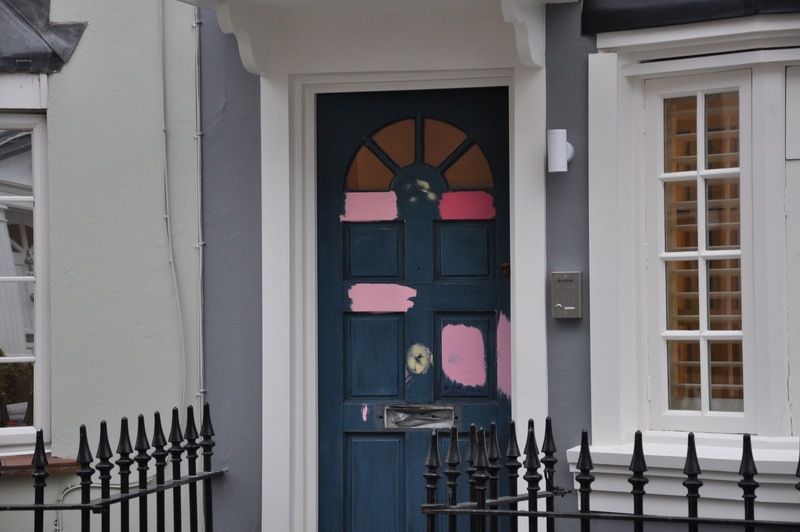 A front door in a state of indecision....here is some inspiration! these pink chairs are a pretty cute accent! 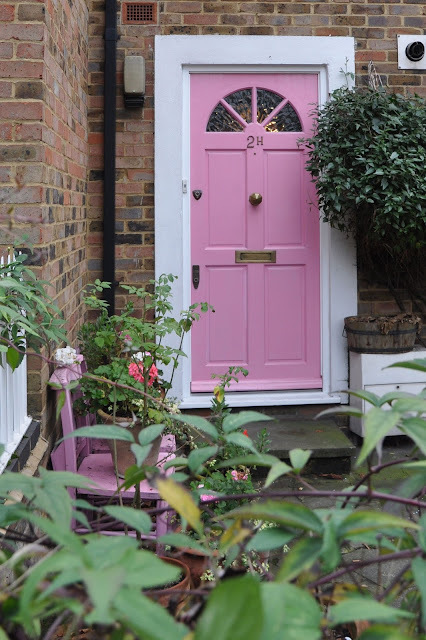 I'm not a pink girl so not qualified to comment but I do love the idea of a front door with color!! What personality! I'm in love with the fuschia, but any pink is a good pink. i have a pale yellow 1900-era farm house and am thinking of a great pink front door! Funny - I used to walk past the last pink door every morning and night, over in Stamford Brook. And walk down Wingate Road to the pub. A lot. 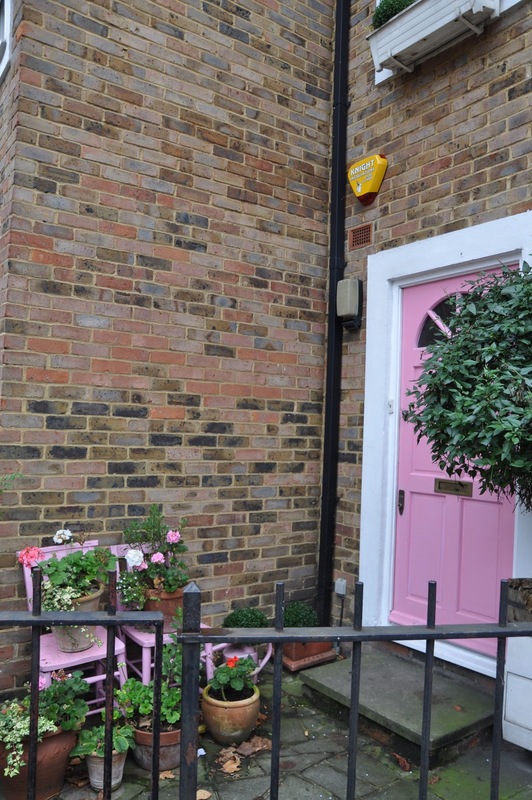 Who knew I'd be looking for a pink door all these years later.